If you have recently visited the MVD, whether to renew your tags or to take a written exam, then you may have experienced significant waiting times, long lines, and overcrowding. This can be problematic for a number of reasons, especially if you are trying to fit a last-minute appointment into your already busy schedule. However, at MVD Express, we work hard to ensure that you receive fast and friendly service so that you can Get In, Get Done, and Get Going! In today’s article, we will be talking more about some of the many services offered at your New Mexico MVD Express. With 10 unique locations throughout the state of New Mexico, we make it easier than ever for you to find an MVD Express in your area. We value your time just as much as you do, which is why many of our customers wait less than 15 minutes before being seen by one of our courteous representatives. 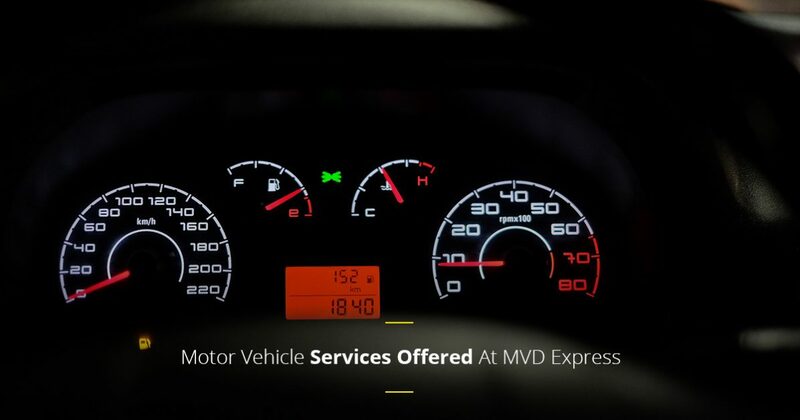 If you would like to learn more about some of the motor vehicle services offered at your local MVD Express, then read more on the topic below! Whether you are wanting to receive your motorcycle license or you simply want to renew your driver’s license, you’ll need to visit your local MVD Express to do so. Fortunately, you can view all of the required documentation that you will need from the comfort of your own home by browsing our “Services” page located on our website! We provide all of the pertinent information that you need so that you don’t have to make multiple trips to your MVD Express to receive your New Mexico driver’s license. Registering your vehicle can be a hassle, albeit a necessary one. At MVD Express, however, you can register or renew your vehicle with ease in just a few short minutes. From motorcycles and boats to trucks and motorhomes, we offer the most efficient and friendly vehicle registration services so that you can spend less time waiting in long lines and more time on the open road! Receiving your New Mexico driver’s license is a truly exciting event, especially for new drivers that are looking forward to replacing their driver’s permit. Whether you are a new resident that needs a REAL ID or you are looking to renew your license, there is no better place to do so than at your local MVD Express. To find the nearest MVD Express near you, simply visit our locations page today. These are just a few of the many services that we offer at our 10 different locations in Albuquerque, Las Cruces, Gallup, and many other areas throughout New Mexico. If you would like to learn more about our full offering of services, or if you would simply like to view current wait times for any of our MVD Express locations, then visit our website today or call us at 502-226-9333. We look forward to helping you Get In, Get Done, and Get Going at your local MVD Express!